OLD PARKED CARS. 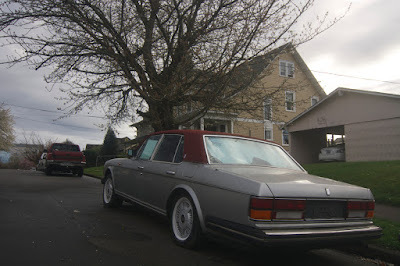 : 1988 Rolls Royce Silver Spirit. 1988 Rolls Royce Silver Spirit. 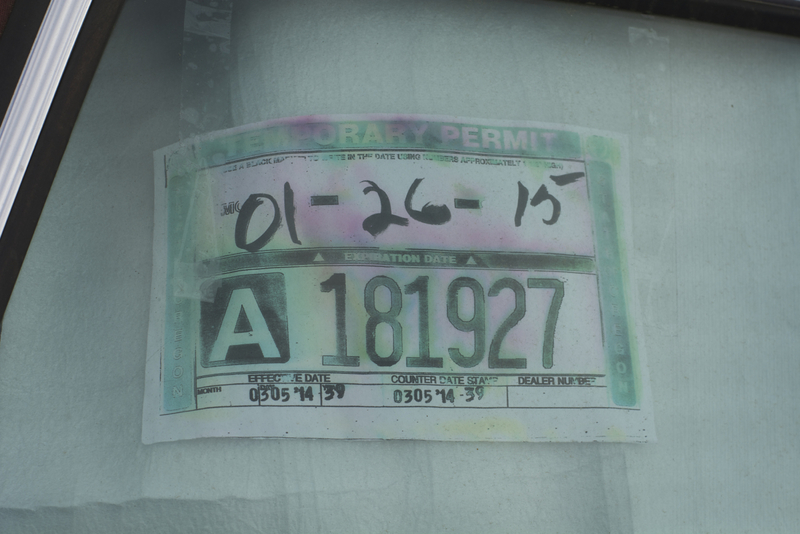 Remember that Mercury Marquis we spotted last year? 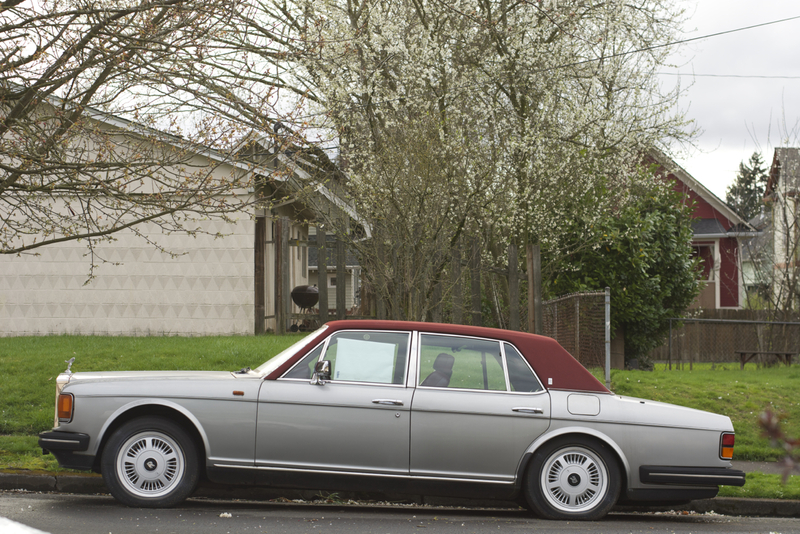 "Darling, shall we drive down in the Rolls this morning?" "No, let's use the F-250 long bed today...."
I can imagine and remember as well Being at the auto shows in NYC during the 1980s and seeing LUXURY/EXOTIC cars that were like this. At the time one could be proud of being in something like this, but at this point it just looks so outdated. Now for my one-liner; "A red velvet cream puff?" 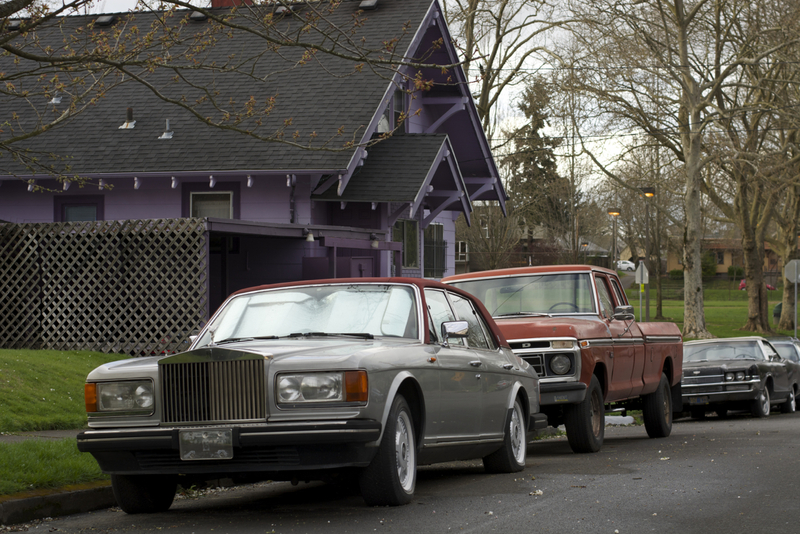 That's one eccentric bunch of cars. I recognize the Mercury Marquis vert in the BG from an older post. 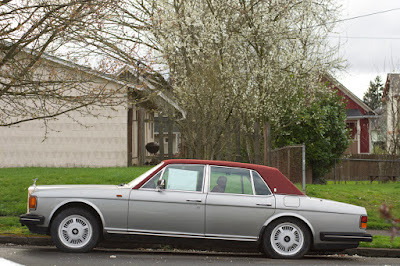 talk about an old parked rolls-royce. man. 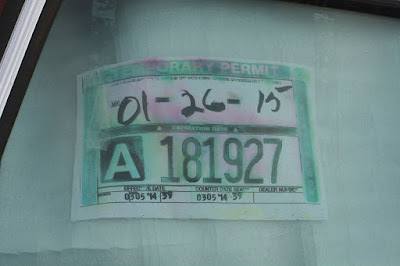 not surprised that the trip permit has expired, but i am amazed that there isn't a "for sale" sign on it. man. talk about an albatross. "honey, i bought a rolls-royce! it needs some work, but it was only $3,000!" there is a spot in rural Texas called "Springtown," pronounced "Sprangton" by its residents. it is the only place on Earth you can find a Bentley on cinderblocks next to a partially disassembled Pratt and Whitney TF30. neither are for sale, and you're advised not to inquire with the owner.